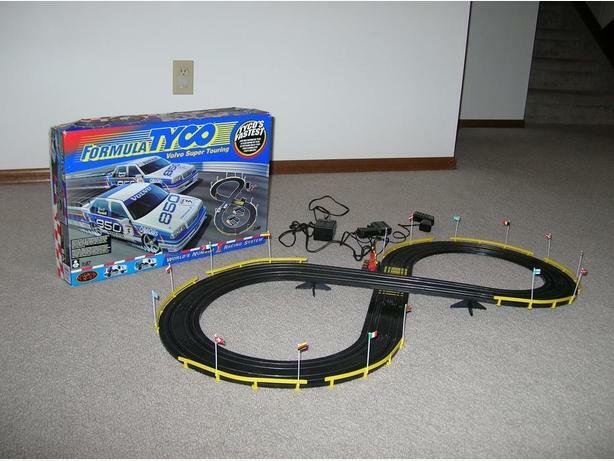 Formula TYCO Volvo 850 Super Touring Harvey/Rydell HO Scale slot car set with original cars. Runs on 120 volt AC power. Used very little and everything is like brand new and in excellent working condition and comes in it's original box which is also in new condition. Very hard to find and highly collectible. Will also consider a swap/trade for Winnipeg Blue Bomber double seat base(s) from the old stadium pictured in this add.